The lawsuit alleged that a 55-year-old woman suffered liver damage as the result of the use of Extra Strength Tylenol. But the jury seemed to find that the injuries occurred before she took Tylenol. This fact is extremely important for those who want to believe that this case is going to be a harbinger of things to come for Plaintiffs’. If the jury did not think she took Tylenol before she was hurt — or maybe never took meaningful doses of Tylenol in the first place — this case does not tell us much. Because in most of these claims, there is not going to be a big battle over whether the Plaintiff was injured by Tylenol. The core of these cases is going to be whether Tylenol causes liver damage and should they have done a better job of warning patients? Still, the challenge for Plaintiffs’ in these cases is getting around the mentality of some jurors; that people who have liver damage should not have been popping these pills, like candy, when the instructions say otherwise. Plaintiffs’ lawyers argue that as few as a couple pills a day can cause extensive liver damage. But many of these cases are going to be people who took more than the recommended dose of two pills every four hours, up to a max of eight a day. Jurors may use a lot of fingers to point blame in these cases. I think it is clear that Tylenol needs stronger liver damage warning and the risk is much greater than they suggest of causing harm to your liver by long term use and even with less than 8 pills a day. But jurors are going to be tempted to blame Plaintiffs’. How will that whole finger pointing game play out? I think it is going to depend on the facts of specific cases. It is going to matter where the case is being tried. Certainly, one thing J&J will crow about is that Atlantic City is not an easy jurisdiction for them. But I think the Plaintiff is going to matter, too. Why was she taking so much Tylenol? Did she understand about the risk of liver damage? The most important factor might be if he/she is a sympathetic figure. Johnson & Johnson, who has done a Tiger Woods like job of besmirching its once great name over the ten years, is certainly not a sympathetic figure. 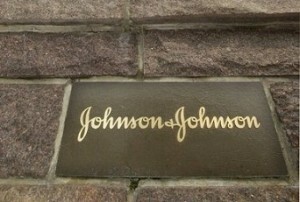 I don’t think J&J is doing all they can for patient safety. In 2009, the FDA starting getting more concerned about liver damage and talked of reducing the daily recommended dose of acetaminophen and maybe even requiring a prescription for Extra Strength Tylenol. J&J ran as far from that as they possible could. Why? Because Tylenol banks J&J over $400 million each year. This is the first battle in what figures to be a long, drawn out war in both federal court and in state court. Okay, I got all of that wrong. Johnson & Johnson did settle 200 Tylenol liver injury lawsuits in the MDL This one loss killed these cases. There were not enough cases to make the litigation work and the whole thing just fell apart. Plaintiffs’ lawyers that were hot and heavy on these cases lost a lot of money. More importantly, a lot of victims did not get the justice I thought they were entitled to get.